Wimbledon is by far one of the most popular London areas in which to raise a family amongst other upper middle class families with a community centered on serving its special breed of residents. Most people will readily admit that the area is an ideal place for all types of families and that the area caters to the serene, well-situated and peaceful. The most common abode in the Wimbledon rental market is single family homes and the prices for sale generally hover around the £1 million pound range. For Wimbledon rentals this can mean that you can expect to pay anywhere from £3,600 to rent a 4 bedroom home .05-.07 miles from the Village heart, to £8-11,000 for a 5 bedroom house in the Village. Wimbledon apartments and flats vary in both architecture and style from Victorian house conversions to modern contemporary apartments. 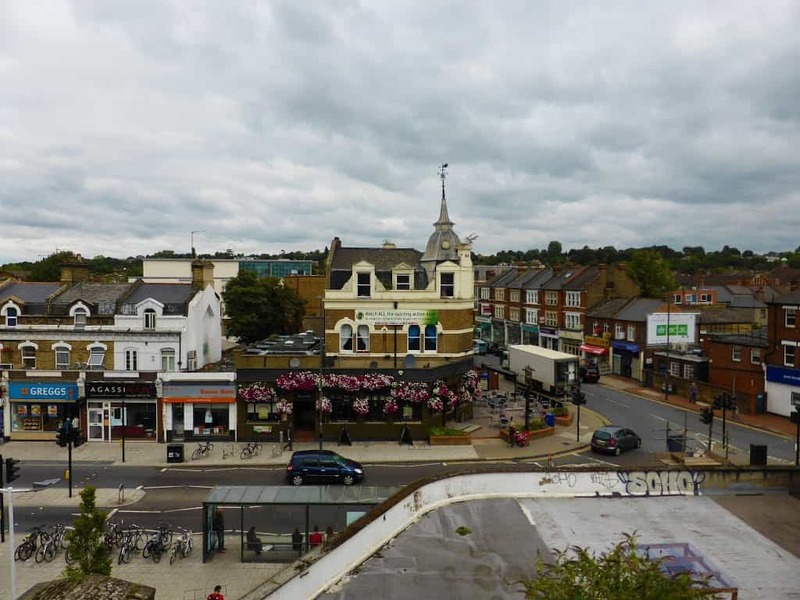 The base for a two bedroom Wimbledon rental is £1,500, and can range up to £2,600 for the same space, but with a more cosmopolitan feel and better location within the areas boundaries. By searching you may find a detached flat, 2 bedroom 2 bath Wimbledon flat rental with a private garden for £1,500 and the little bit further walk from the center of the village. For something located further from the easy Village shopping and business district high streets end of the Village the price goes down. For the professional couple who is commuting daily to central London, taking a 30 minute tube ride gets you to the busy financial district and its surrounding business centers, and being closer to the station than the village heart is a plus. This is a good choice for those who want the upscale amenities that established professional couples select to raise a family in, and there truly are no bad locations. Most professional couples who select this area tend to buy in the area as their needs expand. Want to know more about Wimbledon Rentals? Another blanket statement that we are leary to make is that all the pubs, shops and restaurants in a specific area are good, but with Wimbledon high streets we can make the exception. You will find many a traditional pub, and good family style eats, as well as a variety of ethnic specialty places and even date night hideaways. Wimbledon Greyhound stadium might be considered by some to be a date event at the only remaining dog track left in London. If you’re sophisticated date prefers fine French cuisine the Village is home to Aubaine, (that offers a hidden secluded terrace) the mini-chain of French restaurants. For movie lovers there’s a 12 show cinema at the Odeon, as well as a playhouse theater and Studio in town. Of course for the more sure footed there’s always riding at the Wimbledon Village Stables, on the same grounds the old stagecoaches used to use to stable their steeds. For those that are looking to hang out on the Thames we can suggest a few spots of note. Not unusual to see the Rowing team out for a pint at Duke’s Head Pub for the younger crowd, the Dock Kitchen for food off Union Canal with an architectural flare instilled by Tom Dixon. A bit more of commute but one can never go wrong on the more special occasion style eatery of Marco Polo on the Thames giving great views of the waterfront. There are a number of great options for the many different families to visit in the parks near Wimbledon. The largest and most centrally located would be Wimbledon Commons; it has 1,150 acres and offers a Saturday morning 5k race that regularly attracts over 300 area runners. The race begins and ends at the famed 19th century windmill and is a regularly attended event. The commons is also popular in the area of local school and clubs for both football and rugby. Each year there is a National Schools Severn tournament with national recognition in rugby. The Wimbledon Commons is a center point that is surrounded to the north by Putney Heath Park, to the south by Raynes Park to the West to Putney ale, Richmond Park, Kingston Vale, Coombe, Richmond Park, and slightly south to New Malden. On the eastern edge it starts north with Southfields, directly east to Wimbledon and south of that to Wimbledon Chase. Commuting from Wimbledon gives the rental resident many more choices than he would have in neighboring areas. The Wimbledon District and Zone 3 lines can be had from a great many stations. Beginning north near the Commons with Southfield Station, south to Wimbledon Park, then Wimbledon South, to the slight South East and South Wimbledon Station, followed by the most Western location in Colliers Wood where you can pick up the Northern and Zone 3 lines. There is a central National Rail Station just off Haydon’s Road by the same name, and just to the North East at Wimbledon Chase. To the North West is Richmond Park which is an even larger green open space covering and offering park participants a myriad of selections in outdoor activities and hobbies.